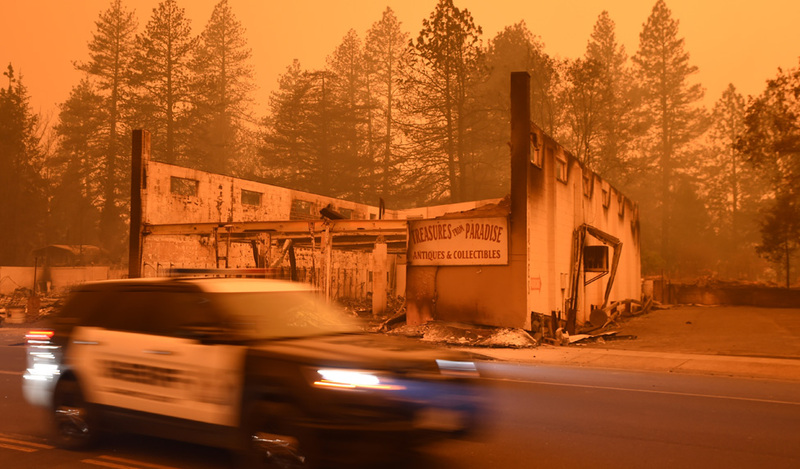 Image caption Some residents who fled the town have described it as "apocalyptic"
The town of Paradise in Butte County in northern California has been engulfed by the deadliest wildfire in the state's history. 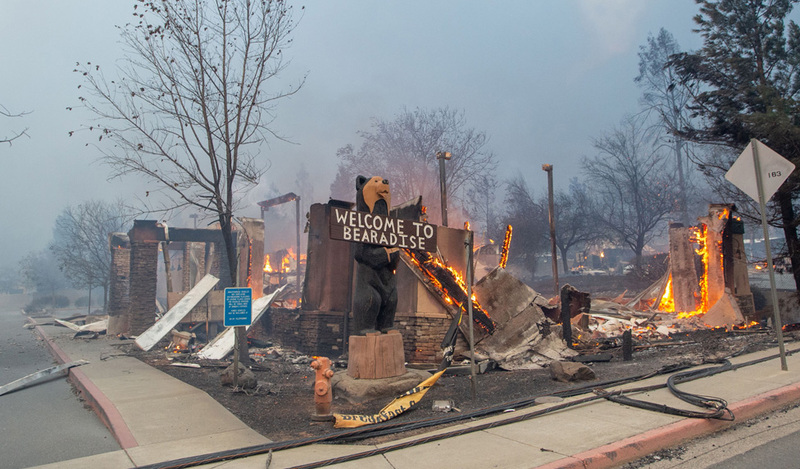 Thousands of the town's structures were completely destroyed in just a matter of hours as the blaze, named the Camp Fire, tore through the area. The wooded community, set close to the Sierra Nevada mountains, was particularly popular among retirees. The Ridgewood Mobile Home Park was among the areas almost completely flattened by the fire. The town's mayor has estimated that 80-90% of the town's neighbourhoods were destroyed in the fire. Some residents took to social media to share what little was left of their own homes upon their return. Officials say that on top of thousands of homes, more than 250 local commercial buildings have fallen victim. 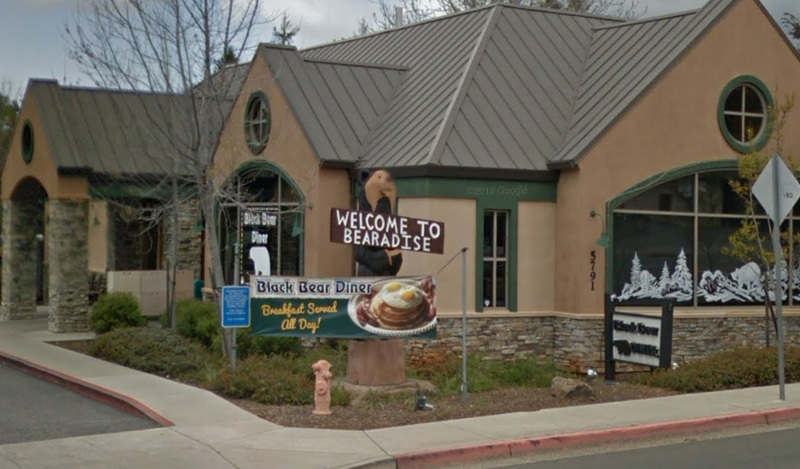 A local Black Bear diner was among the businesses destroyed. On the diner's Facebook page, its owners asked for people to keep the community in its hearts. A local antiques shop nearby was also left as a burned out shell. 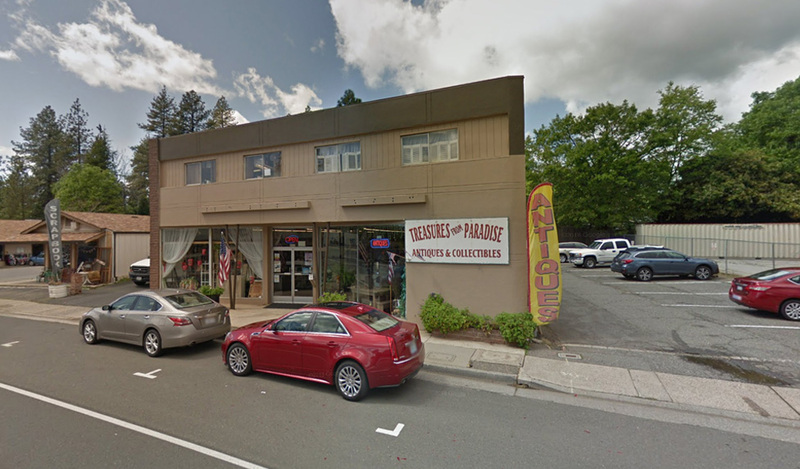 Image caption Mamma Celeste's was a local pizzeria that had only been open six months. Other premises destroyed include a church, a bowling alley, a museum and local fast-food chains. One of the town's two elementary schools was totally destroyed by the Camp Fire. 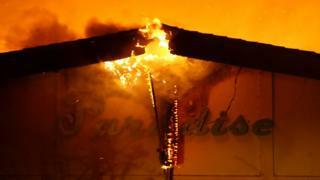 The town's Skyway road was the main route out for people urgently trying to escape the town as the fire closed in.